“Birdnapping” is a common occurrence particularly around spring. Many well-meaning people see a young bird on the ground, assume it is lost or injured and take it. The bird the ends up in care as it may not be reunited with its parents. 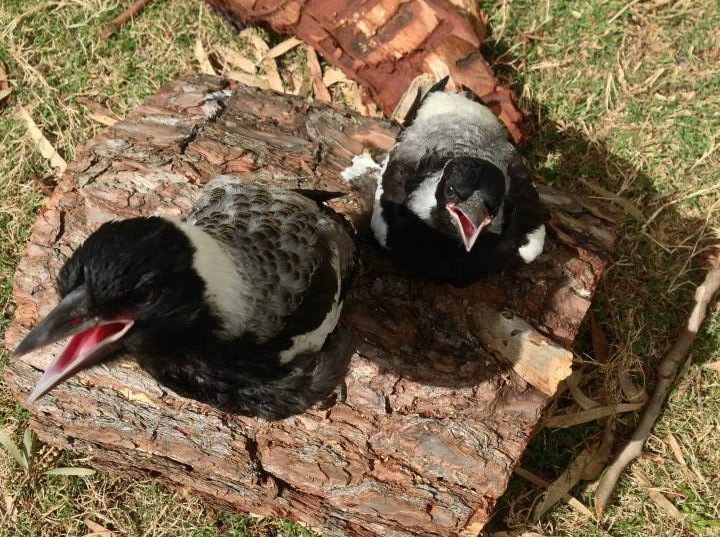 Fledgling magpies that were “birdnapped”. I have found a bird on the ground, what do I do? Fledglings (young birds that have grown all or most of their feathers) leave the nest for a few main reasons. The first being over-crowding; if there is more than one baby, the nest can get very tight for space. The second main reason is that the baby is practicing to fly and strengthening its wing muscles. Once the fledglings are on the ground, they may be unable to get back into the nest, as they are not strong enough. Their parents will usually continue to feed them while they are on the ground. If you find a young bird on the road, or somewhere very exposed and it is uninjured, place it somewhere nearby where there is cover and it is a little safer. Don’t worry, the parent birds will hear it calling so they will find it. Will the parent birds care for the bird? Fledglings are fed by their parents – so they are never far away, probably collecting food. If they see you close by they will not return until you have gone. Go away for a while or move away and observe from a distance. When you return you will almost certainly find that the parents have taken care of their youngster. Can I handle the bird? There is an ‘old wives tale’ that if you handle a baby bird, the parents will pick up the human scent and abandon the chick. This is not correct. If you have picked up a chick, put it back or nearby where you found it and the parents will provide the care it needs. If you notice the chick has not been fed or protected by its parents, or has been on the ground for more than a day without parents attending, please contact a rescue organisation for further guidance or contact your local vet. Should I try and put the bird back in the nest? If you find an unfeathered bird that has fallen out of the nest, you could try to find the nest and put it back carefully. If you are unable to find the nest, or it is too high up, please contact a rescue organisation for advice. Remember: not all birds nest in trees, their nest may actually be on the ground. I believe the bird is injured or sick, what do I do? If you think the young bird is genuinely orphaned or it is clearly sick, put it in a box, keep it warm and contact a rescue organisation for advice or hand it in to the nearest vet. My cat/dog caught a bird, what should I do? The saliva in the mouths of dogs and cats can be toxic to other animals. It takes only a short while for toxicity to set in and it is critical that a vet sees the injured bird as soon as possible. 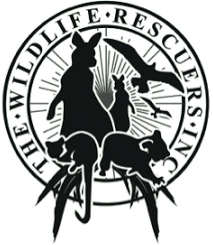 If vets are not available then arrange to get the bird to an animal emergency hospital. Keep dogs and cats confined during dusk, dawn and dark hours.